The draws for the early rounds of the major FA competitions have taken place with Whitley Bay in the hat. In the extra preliminary round of the Emirates sponsored FA Cup, Whitley Bay have been drawn at home to Ebac Northern League second division Sunderland Ryhope CW. The tie will take place at Hillheads on Saturday, August 15, the second Saturday of the new season. Victory in that game would see Whitley at home in the preliminary round two weeks later, with the possibility of a local derby against Heaton Stannington should the Newcastle side overcome Norton & Stockton Ancients in their opening round game. 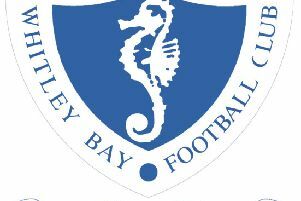 For the first time in nine years, Whitley Bay enter the FA Vase at the first qualifying round stage. The record-breaking four-time winners have been drawn away to County Durham side Willington with the game to be staged on Saturday, September 5. Victory in that tie would set up an attractive local derby in the next round as the winners have been handed a home draw against West Allotment Celtic. Manager Paddy Atkinson was cautious in his response to the draws. “I want us to win every game we play and it’s about how we perform on the day,” he said.